Supa Generous! 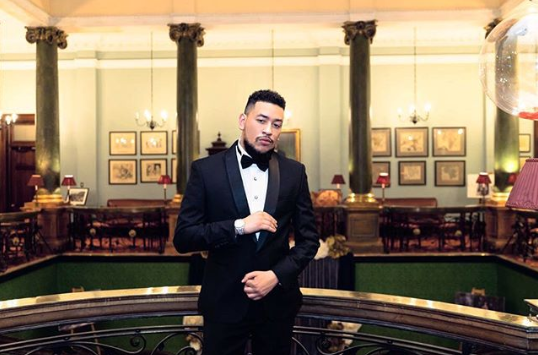 AKA is getting behind SA's national team for the 2019 Special Olympics. AKA and his mother Lynn Forbes are supporting team South Africa for the 2019 Special Olympics World Summer Games. The rapper is part of Special Olympics South Africa's 'Back Our Team' campaign. He donated R35,000 to sponsor one of the national squad's athletes. Seventy members form part of the team that will be travelling to Abu Dhabi next month to take part in the Special Olympics. The 'Back Our Team' drive helps get sponsors on board to support them financially. AKA, whose real name is Kieran Forbes, says he hopes Team SA brings home gold. "The road To Abu Dhabi 2019 starts now! I am going to #AdoptAnATHLETE from TEAM @specialolympicssouthafrica for a full sponsorship 💸💸 to go compete at THE SPECIAL OLYMPICS. I now have an important choice to make #BackOurTeam BRING HOME THE GOLD for [South Africa] and TEAM MEGACY," he wrote on Instagram. It's not the first time the 'Fela in Versace' rapper has put his money where his mouth is. He backed the team in 2018 as well. "Kiernan Forbes today confirmed his ongoing support during a visit to the Special Olympics South Africa offices in Johannesburg. Following previous contributions to the organisation in 2018, the hip hop superstar alongside his mother, Special Olympic ambassador Lynn Forbes committed to fully get behind the organization and adopt an athlete for the World Games this year," team officials said in a statement. AKA's contribution includes Reebok gear for the athletes. HIPHOP SUPERSTAR AKA GETS BEHINDS SPECIAL OLYMPICS SA NATIONAL TEAM FOR 2019 GAMES Last month we officially launched the #BackOurTeam campaign, a call to all South Africans to get behind the Special Olympics South Africa national team on the “Road to Abu Dhabi” and hip hop superstar AKA heeded the call. ‘Kiernan Forbes’ better known as AKA today confirmed his ongoing support during a visit to the Special Olympics South Africa offices in Johannesburg. Following previous contributions to the organisation in 2018, the hip hop superstar alongside his mother, Special Olympic ambassador Lynn Forbes committed to fully get behind the organization and adopt an athlete for the World Games this year. His commitment includes financial support of R35 000 for one lucky athlete in addition to Reebok leisure for the athletes. The record number of 70 determined and inspirational participating athletes and Unified Partners, including the highest number of women to ever participate in a Special Olympics World Games, will compete across 11 venues in Abu Dhabi and Dubai, while the build-up to the Games will be a nationwide celebration with the Law Enforcement Torch Run®and the Host Town program take place in all seven emirates of the UAE. Through the “Adopt an athlete campaign”, Special Olympics South Africa are calling on companies and individuals to adopt an athlete for R35 000 to ensure our athletes have the opportunity to compete with pride and are well equipped amongst the 7500 athletes attending. The games will act as a catalyst for inclusion, building a lasting legacy of improved health, education, and opportunities for people with intellectual disabilities long after the Closing Ceremony of the World Games. The Summer Games will be held from the 14th-21st of March 2019, where over 7 500 athletes from around the globe will compete in over 20 Olympic type sporting codes. The Special Olympics team will depart from OR Tambo on the 7th of March 2019 and will be hoping to replicate the same success of the 2015 Special Olympics South Africa Summer games team who returned victorious with 61 medals in Los Angeles.